Peter Michael Waterhouse obtained his BSc from the University of Newcastle upon Tyne, UK in 1977 and his PhD from the Scottish Crop Research Institute, University of Dundee in 1981. From 1977 to 1978, he worked at the University of Cambridge, England. He joined CSIRO Plant Industry as a Research Scientist in 1981 rising to the position of Chief Research Scientist in 2006. He was Acting program leader in Plant Defence (1991-92) and Leader of Virology sub-program (1989-91, 1993-99). In the period 1992-93, he spent a sabbatical leave at the Centre for Protein Engineering, Medical Research Council Centre, University of Cambridge, Cambridge Antibody Technology Company, Cambridge, England. He was Program leader of Plant Defence for the Cooperative Research Centre for Plant Sciences from 1995 to 1998 and the Leader of the Genomics sub-program in 1999. In 2008, he was awarded a prestigious Federation Fellowship and left CSIRO to take up a professorial appointment in the School of Molecular and Microbial Biosciences at the University of Sydney. 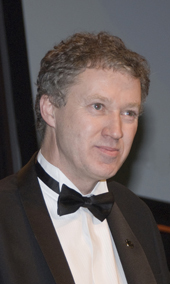 His research interests included the molecular characterisation of single stranded positive sense RNA viruses including barley yellow dwarf virus and other members of the plant virus Luteoviridae family, the molecular characterisation of umbraviruses (also positive sense ssRNA viruses) and the double stranded RNA oryzaviruses (Reoviridae). He investigated the production of virus-resistant plants expressing mammalian monoclonal antibodies. Subsequently his group investigated the roles of the different genes in RNAi pathways and have shown that viroids cause symptoms in plants by inducing RNAi against the plant host’s endogenous genes. This finding solved the long-standing mystery of how a viroid, which encodes no protein, could cause symptoms and heralded the way for researchers to find that animal viruses also affect their hosts through the RNAi/microRNA pathway. His group identified that plants contain a set of four major types of enzymes called Dicer-like (DCL) proteins that cleave dsRNA into small RNAs, and used a suite of DCL mutants to identify that dsRNA from viruses, virus satellites, and hairpin RNAs are all processed by DCL2, DCL3 and DCL4 into 22, 24 and 21 nt RNAs that mediate viral defence, RNAi and chromatin modification. Most recently, his group have shown that there is a mobile, graft-transmissible, signal which induces RNA silencing in distal tissues by a process that uses enzymes normally associated with DNA silencing. At the time he left CSIRO he had published one book, more than 25 book chapters or invited reviews, and more than 90 papers in refereed international journals. Web of Science indentifies 76 of these from the last 20 years and records 3 832 citations, giving an average ~50 citations/publication and an h-index of 31. He is an inventor on a suite of 11 families of patents on RNAi, two patents on recombinant antibodies, one patent on virus resistant plants and two patents on promoters for plant biotechnology. Waterhouse PM, 2009, Personal communication.